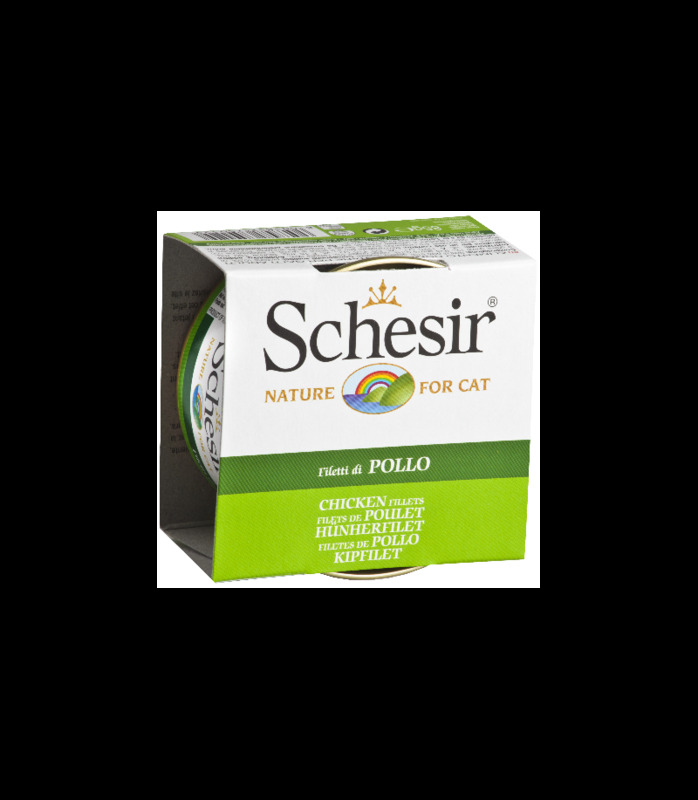 Schesir in Jelly contains omega-3 and omega-6 unsaturated fatty acids (linolenic acid) for a nutritious diet, as well as to promote healthy skin and fur. This wet cat food is produced using the latest technology and undergoes strict controls to ensure premium quality and exceptional flavor. 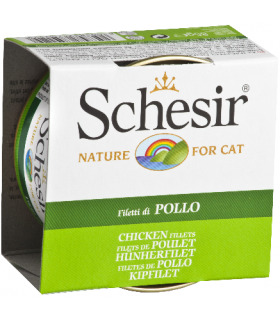 Schesir in Jelly is a supplementary food for cats. 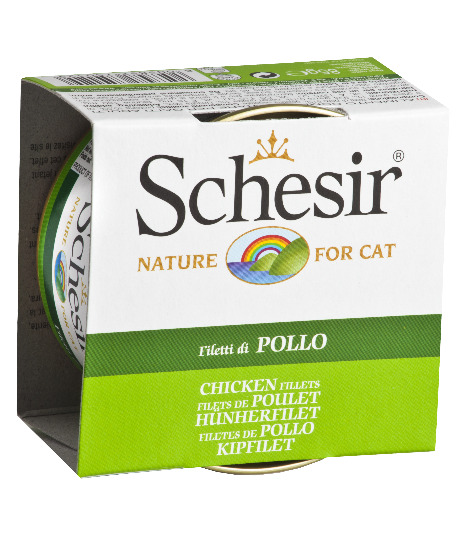 Schesir in Jelly is a supplementary cat food. Medium cats should be fed around 2 cans per day, preferably served warm. Fresh water should be always made available. Once opened, food should be stored in the fridge and served within 48 hours of the seal being broken.